Tilman Fertitta Agrees To Buy Houston Rockets For A Reported $2.2 Billion : The Two-Way Reported to be an NBA record $2.2 billion, the sale still must get the league's OK. Leslie Alexander, the team's owner since 1993, is selling it for about $1.5 billion more than what he bought it for. Tilman Fertitta, seen here at a television premier last year in Universal City, Calif. A native Texan, Fertitta owns the Houston-based restaurant chain Landry's, Inc. And now he is set to own the Houston Rockets, too. 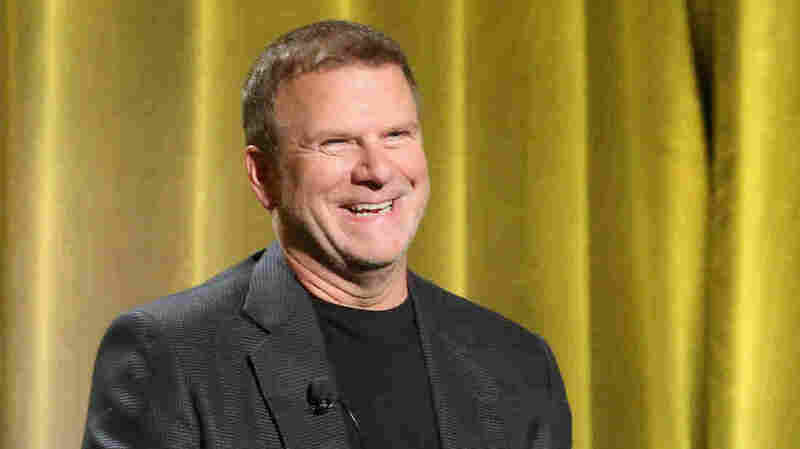 The Houston Rockets announced Tuesday the franchise has been sold to a local and longtime fan, Tilman Fertitta. The billionaire businessman, sole owner of the Landry's restaurant empire and Golden Nugget Casinos and Hotels, now becomes sole owner of the Rockets as well — pending approval from the NBA's Board of Governors. "I am truly honored to have been chosen as the next owner of the Houston Rockets," Fertitta said in a statement released Tuesday by the team. "This is a life-long dream come true." The terms of the sale have not been released officially by the team, but ESPN and USA Today, citing unnamed sources, both report the sale broke an NBA record at $2.2 billion. The agreement tops the 2014 purchase price of the LA Clippers — formerly the league's most expensive — by roughly $200 million and significantly exceeds the team's reported value, which according to Forbes rests at $1.65 billion. CNBC columnist Eric Jackson notes that, all told, Fertitta is "spending 71% of his net worth on the Rockets." Still, this purchase is also something of an act of devotion for the native of Galveston, Texas. Landry's is headquartered in Houston, and as ESPN observes, Fertitta has had courtside seats to the Rockets for years. Indeed, he tried and failed to purchase the team the last time they were up for sale, losing out to Leslie Alexander, who bought the Rockets for $85 million in 1993. Alexander says the two of them have stayed in touch since then. "I am excited to welcome and pass the torch to Tilman. He is a Houstonian, business leader and committed to the success and excellence of the Rockets both on and off the basketball court," Alexander said in the team's statement. "I have personally known Tilman for over 24 years and don't think I could have found anyone more capable of continuing the winning tradition of our Houston Rockets." In its release, the team acknowledged the poor timing of the announcement, coming as it does "amidst the aftermath of one of the biggest tragedies in the history of our great City." But, the Houston Rockets were careful to note, negotiations for the team's sale began in July, weeks before the storm's landfall.